Evening sisters! I know I haven't posted since last week but I've been lurking. So I came home from work on Monday and it was over 80 degrees in my apartment. I thought my air conditioner was broken and told the super. 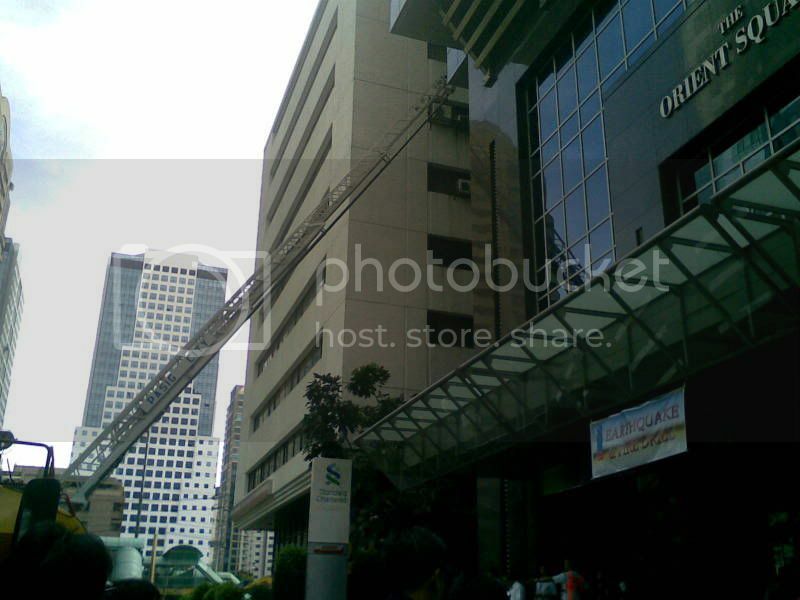 They checked it out and determined that one of the control switches on the outside of the building had been turned off. Apparently some of the local kids think it's funny to play around with the control boxes on the apartment buildings. I was not at all amused by their little prank. My cats were locked inside the apartment all day with no AC, and the fan was running non-stop trying to cool things down and wasting electricity. Those kids better hope I never find out who they are. This is Florida. You don't mess with people's air conditioners. I saw The Adjustment Bureau over the weekend and was pleasantly surprised. The advertisements I saw didn't look interesting to me but my dad really wanted to see it so I said I'd go, and it turned out to be a rather good movie. The tv commercials made it seem like a typical conspiracy theory movie, but it had a unique twist to it that made it really enjoyable. And I got a great bonus: WfE long trailer! Rob on Leno~ I laughed repeatedly watching this. His mechanic sounds a lot like mine ("you've been driving it how long in this condition?!"). Speaking of which, I was curious about what kind of car it was? Caryn probably knows the answer to this question. I also enjoyed the beef jerky story. As for the movie clip, it looks really good but I don't recall that particular scene being in the book. One of the changes from book to movie I guess. MTV interview~ This was excellent as well. My favorite was the story of him explaining about the Polish elephant commands at a press junket and freaking somebody out. However, watching the interview on the MTV website was a real pain. They split it up into like 30 separate videos, so I had to sit and wait for each one to load, do the "buffering" and watch a commercial, all for a clip that in some cases was only 30 seconds long. Did they really need to cut it up that much? Jaclyn~ Keep the ActionRob pics coming! I'm glad you are keeping him so busy while he is visiting. Are you writing all of his adventures down in the diary? Susie~ This was me on Saturday: I think the fanfic is rubbing off on you because that was a total cliffie! I hope you get more written soon. Glad that Maureen is enjoying the books so much. That was a good idea to add in DSotM and The Book That Shall Not Be Named. Have fun visiting lulu! lulu~ It's a shame that your friend gave up so quickly on reading the book because she's missing out on a great story. It can be a little graphic in some places but I also think that the book's realism is one of its more attractive qualities. Of course I've read so much fan fiction at this point that nothing in WfE was remotely shocking to me. Raine~ Glad that your mom's tests results were good. Chrissy~ Welcome back from vacation. Sorry to hear you came back sick though. Gun discussion~ Sometimes I forget that they're practically banned in some countries. I believe Florida is one of the more lenient states when it comes to gun laws. My father was an MP (military police) in the army and thought it was important that I learn how to handle a gun properly, so he took me shooting a few times starting when I was around 13. One time I made the mistake of wearing a low cut shirt and after taking a shot the shell casing popped out of the gun and went right down the front of my shirt. It was so hot it left a welt on my skin. Ginnie I'm impressed that LittleLady was so good at the firing range. A couple of my father's guns have so much recoil I have trouble holding on to them, forget about having good aim. Wow this post has gotten really long. Here's a present for you if you made it all the way through! VolturiGirl~~ Welcome to the HH!!! Hi, Sisters!! Two days down and four more to go on our state testing (SAT's and ARMT's) schedule. My fifth graders have been little troopers so far! They all worked very hard today right up till the time I had to call stop. I was so proud of them! I dread next week for them because two out of the three days we test will run right up into lunch time. It's ridiculous! ANYHOOO... I am exhausted tonight. I am briefly checking messages and heading up to bed. I am taking the afternoon off from the after-school program tomorrow. I'll be on a little earlier tomorrow night. Have a great day! I'll be back a little later with a longer post. older_twilight_fan wrote: Has anyone seen this? 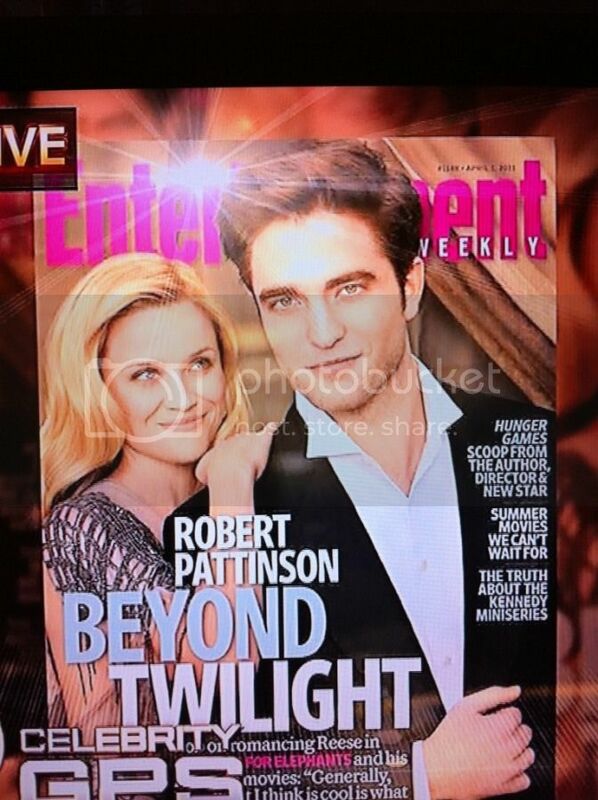 Honestly, I haven't been a fan of any of the EWcovers we've gotten of Rob so far. The feel so... uninspired. I mean, plain backgrounds and very little thought to set or style. The photoshoots themselves can end up nicely enough. Although, don't even get me started on the Eclipse ones. I have so many issues with those covers that it would take a novel. Missp~ Hope the testing continues to go well for your brave and busy 5th graders. Our TCAP tests are in a couple of weeks, I think, and it seems like all school activities shut down that week, except for testing. Enjoy your extra afternoon time tomorrow. Christina~ So sorry about the AC issues in your apartment, and the ridiculous kids who think it's funny to play a prank like that. Your poor kitties--I'm glad to hear they're okay. It would be nice if your apartment building could install security cameras so they could catch the idiots. Was The Adjustment Bureau the new movie with Matt Damon and Emily Blount? I like Matt Damon and thought the previews looked intriguing. I saw The King's Speech last weekend and loved it, but seeing the long WFE trailer as you did was like the icing on the cake. I'm glad you enjoyed Rob's interview on Leno and MTV too, and I agree with you about how frustrating it was to wade through umpteen separate MTV clips just to catch the interview in its entirety. Jenn Jenn~Hey there! What's "Cullen weather"? I thought you had tornados in Kentucky today--hope everyone is safe. Volturi Girl~ Welcome to the Halfway House. We're glad you found your way over here, and hope you have as much fun as we do. Many of us would spend a great deal of time in the gutter or a jail cell with some of the thoughts inspired by the Robcrack posted on this thread. Are you a little sad about having a kindergartner? It's a very big step, but I'm sure he'll have a blast next fall. What age(s) is/are your other child(ren)? I'm one of our more "mature", err.... older regulars around here, and I have an eleven-year-old daughter and a nine-year-old son. Caryn~ We're so glad you're back on a more regular schedule too--the Halfway House just isn't the same without your frequent posts. I appreciate your thoughts on the past EW covers. I guess Rob has always looked so gorgeous in past EW issues that I didn't give a great deal of thought to the background or set design. But they certainly seemed to have knocked it out of the park with this particular issue. Rob looks like a full blown and fully grown mega Hollywood movie star, and I mean that in a complimentary way. I'm confused about the MTV nominations....which "other disgusting moment" that wasn't nominated, were you referring to? I assume the mountaintop Jake/Bella kiss was nominated, so are you referring to the Jake&Bella kiss/punch? I don't like the fact that the Harry/Hermione horcrux kiss was nominated, as that probably stokes the fire of the few remaining Harry/Hermione shippers out there. It also brings even more attention to the fact that for whatever reason, be it directing and/or acting, Dan and Bonnie just don't have the chemistry I hoped they would, as Harry and Ginny. I hope Hermione and Ron's kiss in DH Part 2 blows the Harry/Hermione kiss out of the water, but we'll have to wait a few more months to see, I guess. Loved the new WFE stills you posted today. Why is it that a picture of Rob with any animal just melts our hearts? I'm not sure I'll survive the next month or so. I have a feeling we'll continue to see just enough WFE movie stills, interviews, promotional appearances, and photoshoot outtakes to render us nearly incoherent, by the time April 22nd rolls around. Jaclyn~ Hope you had a great time at dinner and the pub quiz tonight. That's really cool that the UK WFE premiere is located in the same theater where you and Susie watched Eclipse last year. I love reading new posts by you, Marielle, and Raine in the morning, before I leave for work. It's a nice way to start the day. I'm so glad you enjoyed reading WFE, and I'm sure your bf feels like he read the book as well. Will he see the movie with you? I mentioned to my Mom that she might like the movie, and she agreed to see it with me. Nice sleuthing and detective work on Susie's potential whereabouts, by the way. Is there any chance SonnyBoy may go with her to visit Lulu? Marielle~ Hope your day improved, and you recovered sufficiently from your injuries to have a good time tonight. Good for you enjoying yourself with the in-line skating. I'm sure that takes coordination and skill that I simply don't possess. I'm off but I'll write this afternoon, I've got lots to tell you girls!!! Not read any posts, just skimmed to see if Marielle had posted. I got a phone call this morning to wish me a happy birthday from a certain person who told me a little bit of your news Looking forward to hearing the details though! Gotta go - I'll try and check in later! She ever brought me two presents, Eclipse sweets…like those small hearts with text and lips balm…isn’t she sweet!!!!!!!!! Jaclyn, like I said, happy birthday, do you have anything planned for today??? Ooh, love the new stills…. Sorry I missed a few but I have to run…need to get to the tennis court…. See you all later tonight!!! 1 more day to go before the weekends. We also found out today where we'll be going for our company outing. We're going to the beach on mid April. That's a 2 days stay, all expense paid by the company. I love this time of the year. 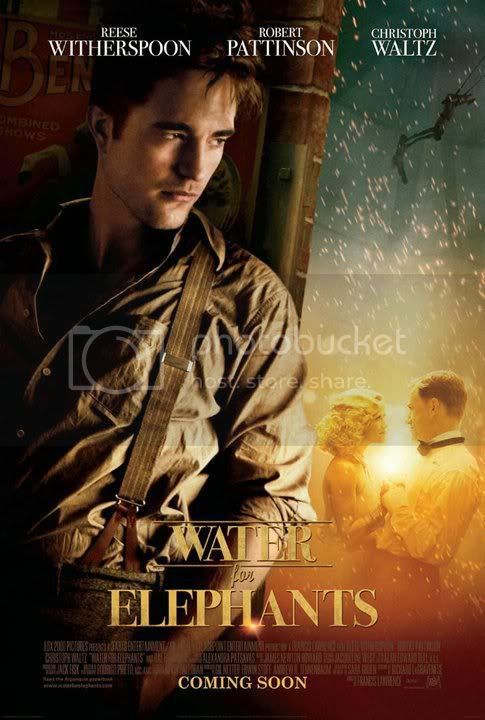 I finished reading Water for Elephants and just like Jaclyn I never thought I'd enjoyed it until I started reading it. I never really like circus, when I hear that word the only thing I could picture are clowns. I hate clown, they freak me out. But surprisingly the first character that I become attached to is Walter and his sometimes annoying other times lovable dog Queenie. I can totally picture Rob playing out the role of Jacob. It's a wonderful experience to read and know what goes on behind the show. The book is a perfect combination of love, humor, passion and romance. I can't wait to see it on the big screen. Tracy - Aw likewise. I love reading everybody's post while I'm at work. It keeps the boredom away. I have to be very careful at opening links to photos though specially during hump day . Maybe you ladies should post a warning as well, something like "don't open if you're at work" or "caution: Robporn". That would have save a lot of embarrassment and unwanted stares if we as so much squeal or whimper . Like the one's you posted today. Dear god...I wish those mags would reach our country. I can't even find a single VF in every bookstore here, much less EW. Christina - I have the same sentiments. The Rob interview in MTV site is so frustrating. I was able to watch the full Jay Leno interview on youtube which I really really like. VolturiGirl - Hi! Welcome to the HH. Feel free to post as often as you like. Jaclyn - Enjoy your day. How did you celebrate your birthday??? Chrissy - Hope you feel better really soon. Sorry I have to cut it short. It's almost midnight here and big bro and SIL are in some sort of disagreement thus the silent treatment . And when that happens which is really seldom nobody cooks which is my cue to get my lazy behind out of the computer and cook if I want to eat before I go to bed.